Can you spot the spider corpse here? Looks like it succumbed to some sort of fungal infection. Fungi are quite diverse and I don’t recall ever seeing one quite like this one. Here’s a closer view. I suspect that webbing is probably from the spider itself. It probably was hiding inside a silken retreat when it died. Would the fungus properly be called an arachnopathogen? I think so but there’s practically no hits when I search for that term. 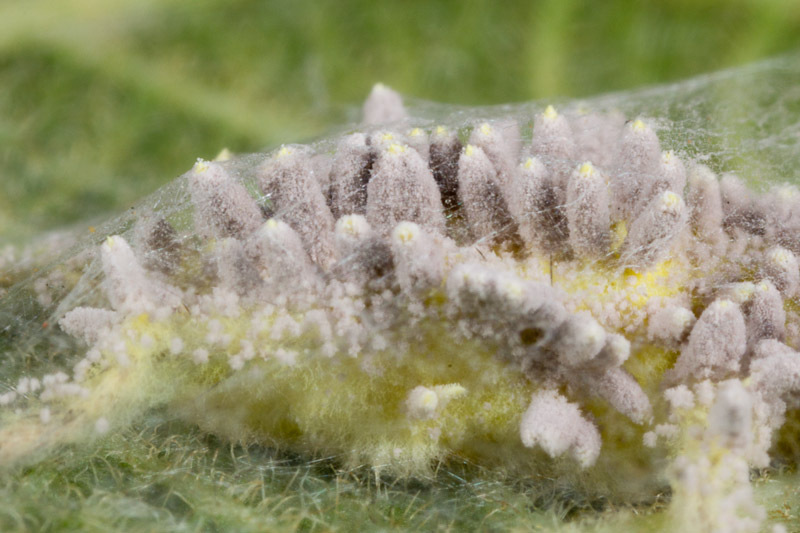 I did find a photo with a similar looking fungus on BugGuide though. Sadly, no info on the identity of the fungus. It’s neat to see that the photo was taken not too far from where I live though. Am I the only one that wonders if I should be wearing a surgical mask when I get close to something like this? Only if you have book lungs. I certainly hope that’s the case! 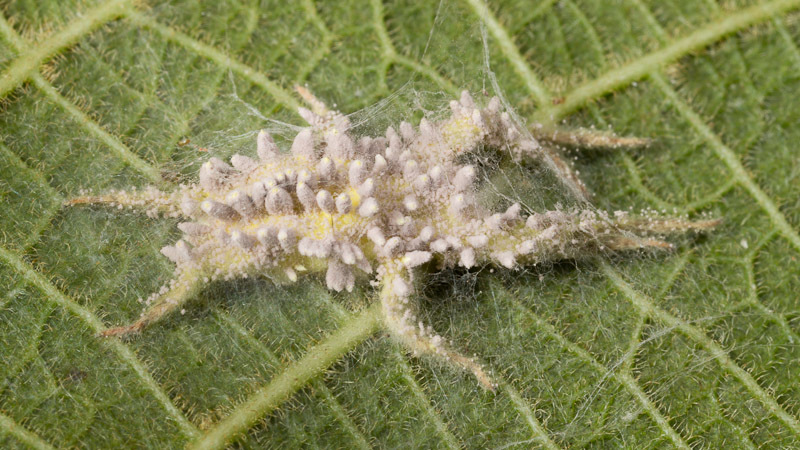 I am no expert on entomopathogenic fungi but this probably is a Gibellula species. They are renown to infect spiders. Thanks, Ron, for the compliment and for the possible id on the fungus. Wow! 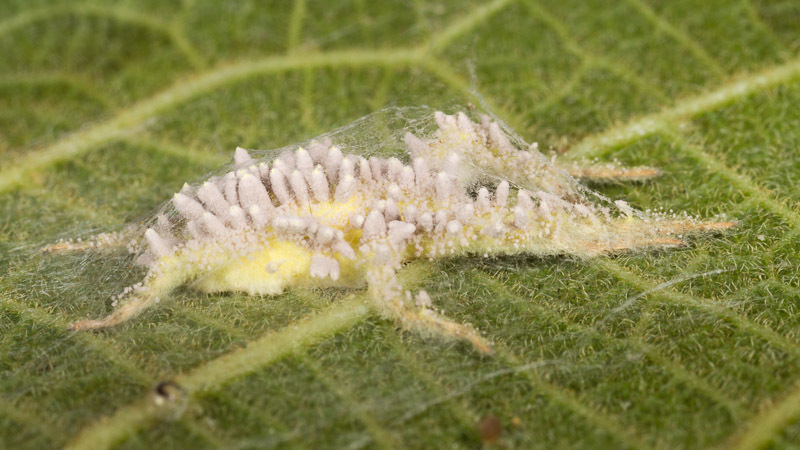 Amazing photos all over the place, love the site, I am currently obsessed with spiders being attacked by fungus since I stumbled on a pic looking up ant-imitating spiders. My daughter and I saw our first one today, so I can relate to your story about finding them in the park. Fascimating creatures! But the fungus-crusted spiders take the cake. Ewwwwwwwwww…..aaaaaawesome! And I personally would worry if wearing a mask didn’t at least cross your mind a few times! Glad you’re enjoying the site, Amy!